December 15, 2010, "Biking the Oregon and Northern California Coast". Ross Lemons' first association with the Mountaineers was in 1964 when he was a student in the "climbing school" and participated in a several hiking and climbing trips. 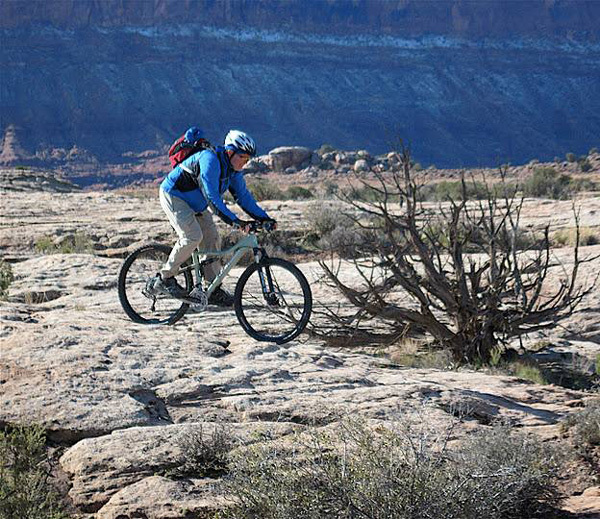 After retiring from the Laboratory in 2006, he rejoined the Mountaineers and has participated in a number of events including three "Moab Adventures", the Scottish Lakes Trip, Monarch ski trips, and several local mountain bike rides. Though no longer engaged in rock climbing, he currently enjoys bicycle touring, mountain biking, river running, downhill skiing, cross country skiing, and hiking. In 2010, Ross taught the Mountaineers Compass/GPS course, earning his first hat. Ross and Nancy Lemons grew up in Los Alamos, started dating senior year in high school and married after getting their degrees in physics and mathematics respectively at the University of Colorado. They moved to California for Ross to earn a PhD at Stanford and Nancy to work at SRI. Their son Jeff was born shortly before they moved to New Jersey to work for Bell Laboratories, and their son Derek was born the following year. In 1982 they moved back to Los Alamos where Ross took a job as a Group Leader at LANL and Nancy focused on raising the children and volunteering for numerous organizations. Nancy and Ross at Meyers Creek Beach in the Piston River State Park, Oregon. Over the next 25 years, Ross worked in a series of management positions at LANL and Nancy took on even more volunteer positions. 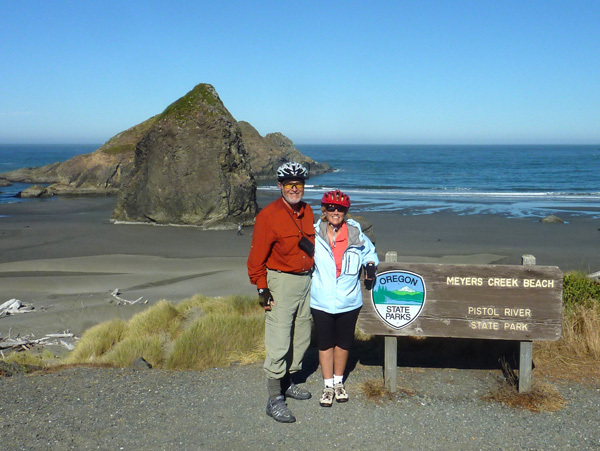 In 2006, Ross retired, and Nancy reduced her commitments so they could travel more and undertake new adventures, such as biking the Oregon and northern California coasts.